September 13, 2012 (Des Moines) – The Vision Iowa Board, through the RECAT program, awarded $62,000 to a Turkey River project that includes developing a whitewater feature at the low-head dam in Elkader. The smaller of the two dams in Elkader will be modified with special placement of large and small habitat boulders and a wave catalyst structure. 9th Annual Project AWARE a Huge Success! What’s Project AWARE? 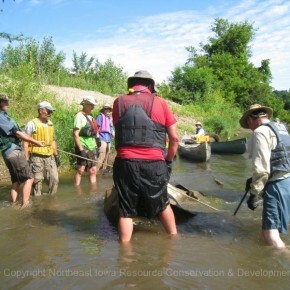 Think RAGBRAI, but with a splash of ecotourism, a focus on river cleanup, and a whole lot of fun! 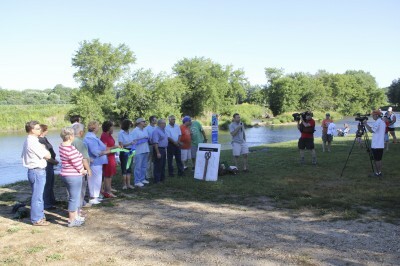 ELGIN — The Turkey River Water Trail, stretching 98 miles from Gouldsburg Park to the Mississippi River, officially opened Wednesday with a dedication ceremony at Gilbertson Park. 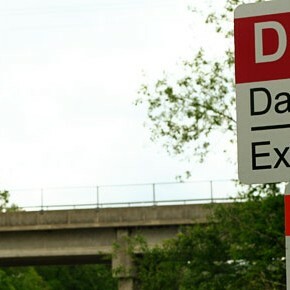 Eight dam warning signs were recently placed above and below the Clermont Dam, and over the coming weeks, more than 200 additional signs will be placed along the 98-mile water trail from Fayette County's Gouldsburg Park to the Mississippi River. 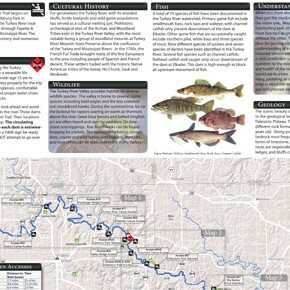 The map and new wayfinding signage will make it easier for river users to plan their trips, and on-water navigational signage (on bridges and at each river access point) will create a safer and more enjoyable experience.